Avis Car Rental and its subsidiaries operate one of the world's best-known car rental brands in more than 165 countries. Avis has a long history of innovation in the car rental industry and is one of the world's top brands for customer loyalty. Cashback is payable only for bookings made on the Avis AU site (.com.au). 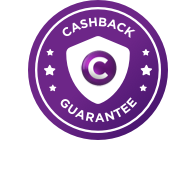 Cashback may not be paid if any coupons/codes/rates are used that are not listed on Cashrewards. Customers will receive Cashback based on time/mileage base rate only. Cashback is not available on taxes, fees or additional extras.